Bob and Diana Suckiel on the “Foolkiller Folk” radio show. We have been longtime supporters of folk music and we are performing musicians as well so the name of our program is Foolkiller Folk! We are members of the old Foolkiller now known as CrossCurrents and we are involved in theater and local political activism. We want to share the music we love with the rest of the community and share historical aspects of the music also. We want to help broaden our listeners’ knowledge of all kinds of folk music from all over the country, from the pre-war era to now. What is CrossCurrents, formerly, Foolkillers? CrossCurrents is Kansas City’s Folk Arts Alliance. It is a nonprofit corporation in Kansas City which is dedicated to people creating their own culture. They produce concerts, plays, and community events, such as barn dances. This alliance encourages all interested people to get involved, no matter what level of talent they think they have. If you are looking for locally produced Folk music, Contra-dance, original acoustic music, women’s music, theatre or banjo-playing, join CrossCurrents. “We prefer crude vigor over polished banality. Remember, as one becomes enlightened, one KILLS the FOOL within.” — Jack Conroy. As always, we heard a lot of really great music at Folk Alliance and we'd like you to join us on our journey through the Conference! This Sunday, we bring you selections from the folks we saw on day 2 in the order in which we saw them: April Verch, Lula Wiles, Cathy Fink & Marcy Marxer, Twisted Pine, Good Lovelies, Revelers, Maja Kauhanen, Courtney Hartman & Taylor Ahston, Brigid O'Neill, Alash, Fru Skagerrak, E-T-E, and Andrew Finn Magill. Listen In! Yes, indeed - KKFI is marching in the St Patrick's Day parade and Foolkiller Folk is providing the marching music! We've stuffed in as many artists as possible and you'll be hearing selections from Kansas City's local favorites, from masters of the genre, 'the 5 bands that will get you hooked on traditional Irish music', the bands that in the forefront of the Celtic folk renaissance in the 1970s and some current favorites. Come to the parade and cheer for KKFI!! As always, we heard a lot of really great music at Folk Alliance and we'd like you to join us on our journey through the Conference! This Sunday, we bring you selections from the folks we saw on day 1 in chronical order: Joe Crookston, Maddie Storvald, Buckman Coe, Graeme James, Kaia Kater, Hafdis Huld, Damn Tall Buildings, Willi Carlisle, Hoot and Holler, Hoot and Holler and the Old-Time Snake Milkers, and Mike T Kerr. Listen In! As usual, we'll be honoring those who passed in order of their deaths. This year’s Christmas show focuses on some of Valerie’s favorite songs and themes. She offers you her two favorite carols: Sing We Noel Once More (Noel Nouvelet), a traditional French carol dating from the late 15th century in a 1950s choral version (somebody please pick this up and record a Trad version for her!!) and the Boar’s Head Carol; plus carols that have not completely strayed from their pagan roots; both house visiting and orchard wassails; carols with particularly charming lyrics, including the ‘Huron Carol’ which she says is the darndest piece of Christmas music she's ever heard; and a set of counting carols. Today Mark & Val bring you a Celtic mailbag with both favorites (like Lunasa, Danu, and Donal Clancy) and new finds (like Childsplay, Landless, and Claire Keville). We'll also interview mandolin player, composer, and US Mandolin Champion Radim Zenkl whose style features progressive original and eastern European traditional music flavored with string jazz, new age, bluegrass, flamenco, rock, and classical live in the studio before his afternoon house concert. And, because we heard his niece, Aiofe Scott, in a house concert recently, we've had him in mind, we'll tuck in as much of the Black Family's Michel Black as the DMCA allows. We’ll be hearing selections from some wonderful new recordings by long -time favorites and new finds. Mark and Val have packed the show with the Friel Sisters; Therese McInerney; Coscan; Ye Vagabonds; the Martin Hayes Quartet; Floriane Blanke; Maurice Leyden; Meabh & Tiernan Smythe; Tad Sargent & Loic Blejean; Qristina Brooke; Christy Moore; Miuireann Nic Amhlaoibh; Terrence, Michael, & Jesse Winch; John Doyle, John McCusker, & Mike McGoldrick; Socks in the Frying Pan; Nava; the Rheingans Sisters; Backwest; Cordeen; Rura; String sisters; and Connla. Well, we figure that if you want Irish music, you'll be at the Irish Fest, so today it's our privilege and honor to bring you songs about work in honor of Labor Day. Following early exposure to folk music in a series of East Coast coffeehouses, Valerie has been a long time fan, promoter and concert producer of local, national and international Celtic and American Trad. Mark is currently co-recording secretary for Missouri Valley Folklife Society, and Treasurer for Crosscurrents. 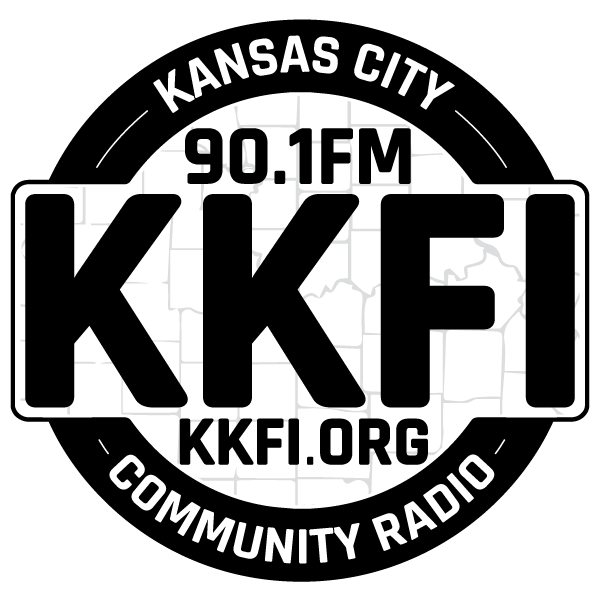 He also is a folk programmer with Valerie Andruss on the KKFI 90.1 FM "Foolkiller Folk" radio show, and is the Chair of the Programming Committee of the station. Diana is a retired plumber with Local #8 and supporter of workers and their rights. Programmer information for Kathy Peters coming soon!